Women continue to be underrepresented in certain employment sectors, but a recent conference for high school students in Vancouver set about to make a dent in those numbers. The premise behind the SheBiz conference was not just to tell girls they can enter traditionally male-dominated fields like business, science and technology, but introduce them to women who have already done so. 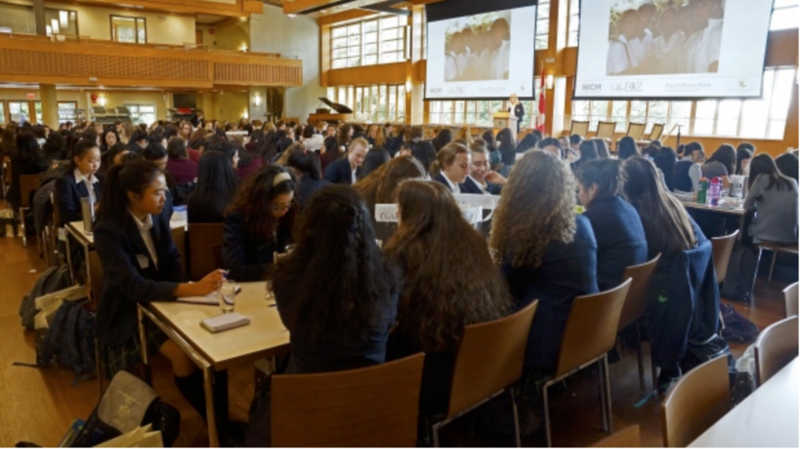 About 230 grade 10 and 11 girls from different public and private schools gathered at Crofton House School to hear a full day's worth of presenters from a variety of sectors on Friday. "Here we are shown all these companies, these big organizations that are run by women and how big of a role they have in these businesses or that field, and without them that field would be super different,"